Tennis clubs are increasingly making the choice to use artificial turf for their tennis courts. The benefits offered by synthetic grass are obvious when compared to the maintenance that real grass requires. Eliminate the need to drag the tennis court after each match in order to keep each player on equal footing. Our artificial turf is made to offer exceptional drainage so that courts are no longer off limits immediately after it rains. Keeping the water off the court also keeps the turf in playable condition for longer amounts of time: An important feature for any high volume tennis courts. We have the extensive line of synthetic turfs to meet every need and provide the best value for our application. We make our products using the highest quality yarn products and installation procedures to ensure your tennis court will remain beautiful and natural looking for years to come. 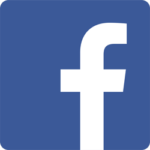 Our products are made in the USA, environmentally friendly and come with some of the longest warranties in the industry. When your business relies on the quality and performance of the athletic court, our artificial grass is the choice that you can feel good about. We do more than sell artificial grass at AZGrassman: We create the lawns and athletic fields that support the play and performance of all types of athletes to enhance their performance. We are experts on manufacturing and installing the turf that will give you the results to exceed your expectations. Installing synthetic turf on your tennis courts will increase play time and prevent you from needing to postpone matches because of rainy weather. 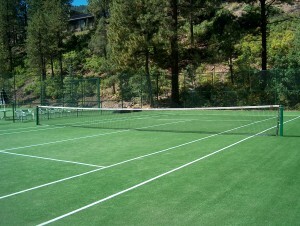 It will also save money on maintenance cost and eliminate the obvious signs of wear and tear on your real grass courts. Request a free estimate and see how affordable the transition to AZGrassman artificial grass can be.